Everyone has a Man in their life whether he is your friend, significant other or your Dad, Brother, Uncle, Cousin or Grandpa, they are there for us. So consider this - women are the mortal goddesses of love & beauty, we are the gatekeepers to a realm of practical magic that is our own creation: The Beauty Empire. So why not share it? 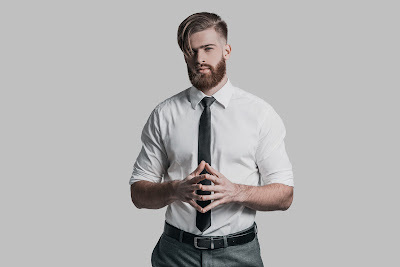 Traditionally, Men keep skincare simple, yet in the modern age more men are seeking healthier, younger looking skincare solutions. As they should since your skin is the largest, most exposed organ and its the house you live in, which is why it's so important to develop healthy skin care routines. Let's be honest, the fountain of youth isn't real. As much as we'd love it to be, in reality it's the time we stop to take care of ourselves that has lasting effects. Busy lives mean major stressors, not to mention the environmental damage we sustain just living on this planet as sun worshipers. With that in mind, on average men tend to spend more time outside giving them a better chance of developing skin cancer or other skin related ailments that can hinder daily life. Genetically speaking, the biggest difference between men and women's skin is men literally have thicker skin with more collagen. They also produce more sebum (oil), and if they have acne prone skin it lasts longer in men as well, making them long time sufferers of this all too common condition. Then there is men's almost daily facial shaving, which takes a heavy toll on their skin with razor burn & ingrown hairs, leaving men even more in need of essential skin repairing ingredients. So, today starts Beauty Care Choices three part article series to provide the BEST information possible for a man to take care of his skin. The first step in building a skin care regimen is to identify what skin type you have. This will give you a better understanding of how to take care of yourself and what products are right for you. Combination Skin - Means you will have dry patches in some areas & be oily in others. First things first - keep it clean. Wash your face with warm water daily & after exercise, and since most bar soap's can contain harsh drying ingredients, wash your face with a mild cleanser or a product designed for your skin type. If you have Acne prone skin, look for cleansers & products that are "oil-free" or non comedogenic, meaning they don't clog pores. Try the Dermalogica Clear Start products which focus on acne problems. If you have Combination skin a gentle, organic cleanser like Baxter Daily Face Wash will work with the individual areas without drying or breaking outs. If you have Dry skin, look for an ultra-rich moisturizer such as Pharmagel's Hydra-Cleanse, as it is non-abrasive and non-drying. that is specifically designed for the dry skin type. If you have Normal skin, your best bet is a facial cleanser made for daily use. If you have Sensitive skin use products that are "fragrance free", as fragrances can dry & irritate skin. Try Dermalogica Special Cleansing Gel designed to calm & smooth without disturbing skin's natural moisture balance. Use a high quality razor like those from Master Barber Or Baxter of California, that give you a close shave without the irritation. This is particularly important if you find yourself getting razor burn, bumps, or ingrown hairs too often, as there is such a thing as too close of a shave. 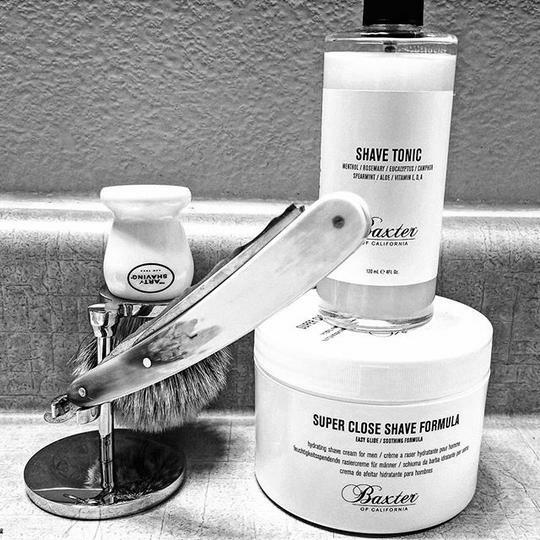 Use a moisturizing shaving cream like Super Close Shave Formula from Baxter, infused with menthol & tea tree oil to soothe while preventing razor burn & ingrown hairs while closing pores with Baxter Shave Tonic. A good moisturizer works by trapping moisture in your skin to minimize fine lines, so skin is healthier & looks brighter. For best results moisturize immediately after bathing, showering, or shaving while skin is still damp. DermOrganic's Daily Moisture Renewal is just great for most skin types. It's oil and fragrance free and rich in lipids, omega-6 and vitamin E.
Many moisturizers also contain an SPF protection. Find one that does so you don't have to think twice, it's done! Dermalogica AGE Smart Dynamic Skin Recover with SPF 50 is a great one!